Transform the look of your 2010-2014 Mustang by shopping the huge line of wheels offered by Late Model Restoration! Wheels are critical to transforming your S197 Mustang from factory looking to head turning looks. Check out all the Late Model Restoration Mustang wheel videos to get everything from new wheel reviews to wheel tech. In 2007, Ford began using TPMS (Tire Pressure Monitoring System). 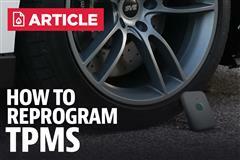 If your Mustang requires new TPMS sensors installed in your new wheel and tire package - be sure to watch our video on how to program your new TPMS sensor to your Mustang. No more annoying "Low Tire Pressure" lights! 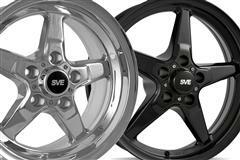 While searching for new wheels don't forget to check out the super popular - SVE Drift Wheels! !